Joel Salatin of Polyface Farms in Swoope, Virginia is one of the most outspoken voices for regenerative agriculture and inter-generational farming. As a prototype of innovative and ecological family farming Polyface Farms is inspiring a new generation of farmers and showing a way forward for the local food movement that is countering global, industrialized food and farming trends. 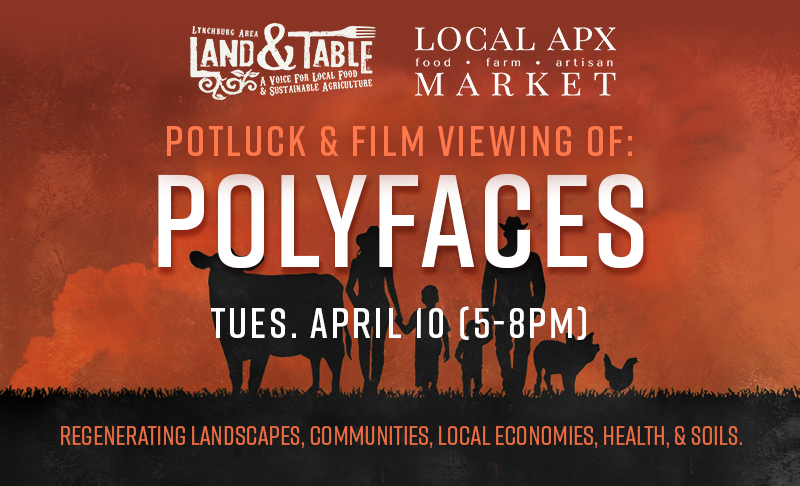 Join us Tuesday, April 10 (5-8pm) in Appomattox at Local APX Market for our monthly Land and Table potluck and a viewing of the movie ‘Polyfaces‘ – a powerful and inspirational documentary that goes deep into one farm’s vision to create change and heal the land. 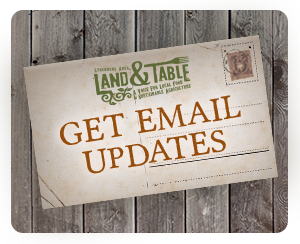 Watch the trailer below and consider joining us for a conversation on the future of food and farming. Parking is available in the rear of the building (go down alleyway on the left side of the building) or along Main Street in Appomattox. Healthy food to share (please label with ingredients if possible). Your own dishware (plate or bowl, cup, silverware, serving utensil, etc). Cash donations are always welcome – help us keep these gatherings going.